Lanie's Little Learners: Christmas Break >> New Activities! I cannot believe that it has been a year almost to the date since I last posted. A lot of things have happen since then. First, I finally am teaching at LCPS in Lakeland which has turned out to be an awesome experience. I am still teaching Pre-K and, I am loving it. There are quiet a few differences between Head Start and Bright from the Start, most are for the best! The first half of the year has been great! I have a SMARTBoard in my classroom (yeah!). I don't know how I have made it with out it. All of my printables that I used to print as large as I could, I now put on the SMARTBoard. Youtube.com is now my best friend. When I cannot find a book I am looking for in the library I can find on Youtube.com most of the time. The students are engaged and are actively learning. 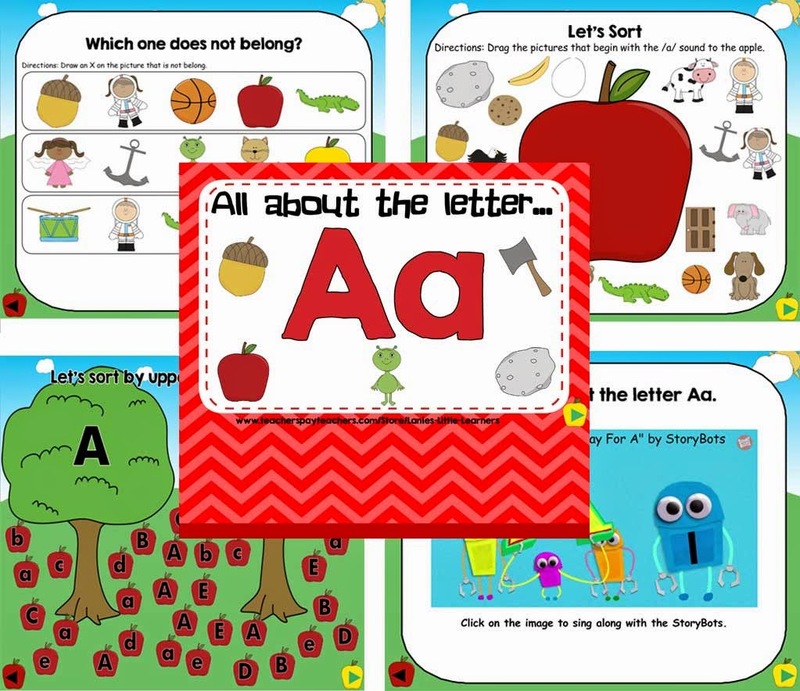 Over the break I am creating new SMARTBoard activities to include Letter of the Week and Winter Themed activities.